While this is related to the previous series on infallibility, I figured that discussing some of the difference between Catholics and those who disagree with them should be dealt with in a new series. This is not meant to be triumphalism or seeking to “bash” other religions. Rather this is being written to show why Catholics do disagree with certain non-Catholic beliefs. It is my hope that people will recognize this series is being written to explain and not to “bash.” I apologize in advance for any blind spots where I do not recognize certain things as perhaps lacking charity. Before discussing the Catholic understanding on why Scripture is held to be sacred and without error, we need to make some distinctions. What the Catholic Church believes is often misunderstood, and thus misrepresented. The reader needs to be aware of these misunderstandings and misrepresentations, and not assume that what they think we believe is correct. Before going on to the objections Catholics have with claims like Sola Scriptura, I decided to begin with the Catholic teaching on Sacred Scripture because it is often misunderstood or misrepresented. 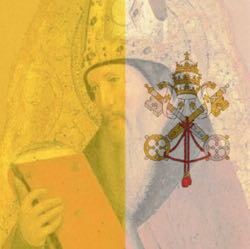 If one assumes that a non-Catholic view must be correct, it is easy to miscast the Catholic view of the rejection of Sola Scriptura as a denial of Biblical authority. There is an old story, used as an illustration, about how the Treasury trained people to detect counterfeits. The story goes that they have these people handle real money, becoming accustomed to how it looks and feels. Because one becomes experienced in what the real money is, counterfeit money when introduced, is detected because it differs from the real currency. Whether this story is true or a myth, I don’t know (I can find no confirmation of this). However, it does serve as an illustration of the point I want to get across here: If you know what Catholics do believe, a misrepresentation shows up as a jarring contrast. With this in mind, the non-Catholic reader needs to be aware of using non-Catholic sources as an authority to denounce the Catholic Church. To speak for someone requires being a recognized authority[i]. For someone who is not a recognized authority, their only relevance is dependent on whether they speak accurately on the subject. If such a person does not speak accurately, the things he or she says is irrelevant. For example, I can say Protestants have an idolatrous relation to the Bible. However, it is only relevant if Protestants do have such a relationship to the Bible. If I am wrong, then it does no good to cite me as an authority and to point out my degrees and knowledge. Wrong is wrong. If the person is cited as a spokesman, he or she is assumed to be qualified to make statements which speak for the group, or is accurately representing authoritative statements a group makes about itself. The person is representing the position of the group accurately and not making false statements (knowingly or not) or confusing opinions about the position with the position itself. If any of these conditions are false the person cannot be considered an authoritative witness. And we will be justified in rejecting the authority of such a person as an expert. This is common sense. You don’t ask a heart surgeon about car repair, and you don’t ask a mechanic about heart surgery. Likewise, you don’t ask a member of NOW to explain the motivations of Operation Rescue (and vice versa) if you want to understand what members of the group stand for. You ask someone who has knowledge and authority to speak, not one opposed to the values of the group. If it can be demonstrated that a person does not speak accurately or authoritatively on a subject, to cite him becomes an appeal to irrelevant authority. The fallacy of irrelevant witness is a common problem when it comes to misunderstanding the Catholic faith. Often people take as their sources men or women who are either in opposition to the official teaching or else lack knowledge to make an accurate explanation. It is reasonable that one consults authoritative Catholic sources to understand what the Catholic Church believes, and not on what one thinks they believe by personal interpretation of a Catholic work (many cite the documents of the Council of Trent out of context, for example) or by what a dissenting or uneducated Catholic claims on a subject. So if one wants to cite an RJ Sproul or a Hans Küng as a source of what the Catholic Church believes, one must recognize that neither is a relevant authority on the subject, and it is meaningless to cite them where their views go against what the Church teaches about herself. With this being said, I hope to move next into the discussion of what Catholics believe about Scripture so that the reader may see that the rejection of certain non-Catholic views is not the rejection of Scripture itself.